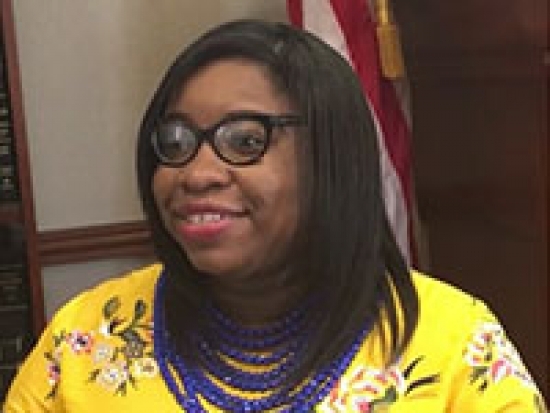 Tamesha Duesbury, a Fulbright Scholar pursuing her Master’s of Science in Criminal Justice, is the first Barbadian student at UAB. Tamesha Duesbury, a Fulbright Scholar pursuing her Master’s of Science in Criminal Justice, is the first Barbadian student at UAB. Driven by her experience working at a probation office in Barbados, Duesbury wants to further develop the skills to better serve at-risk youth. She credits the support of her family with allowing her to study at UAB. “Not only am I a Fulbright ambassador, but I am an ambassador for my country,” she said. 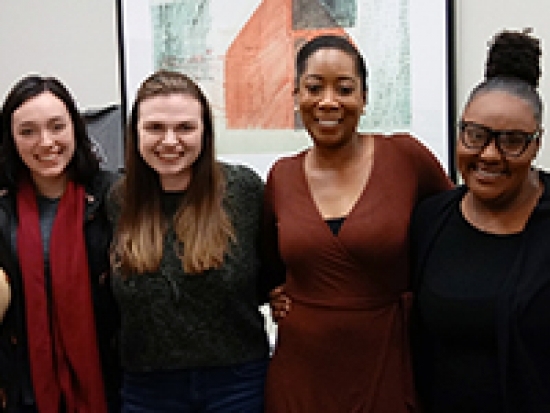 The UAB Department of Social Work celebrated Social Work Month with students and their families, community partners, and faculty members on March 27, 2019. The UAB Department of Social Work celebrated Social Work Month with students and their families, community partners, and faculty members on March 27, 2019, at the Hill Student Center Ballroom. Wes Akins, Coordinator of Mental Health/Counseling at UAB 1917 Clinic, was the keynote speaker. We recognized the Social Work Outstanding student, Eggleston Scholarship awardee, SSWO officers, students who went to Kenya, graduating BSW and MSW students, adjunct faculty members, field supervisors, service learning community partners, and students who went to D.C. Fly-in, Alabama Conference of Social Work, and Alabama Arise Legislative Day. Twenty-six students were inducted into Phi Alpha Honors Society. Pictures of our awardees can be seen below, and more of them can be found on the College of Arts and Sciences Facebook page. 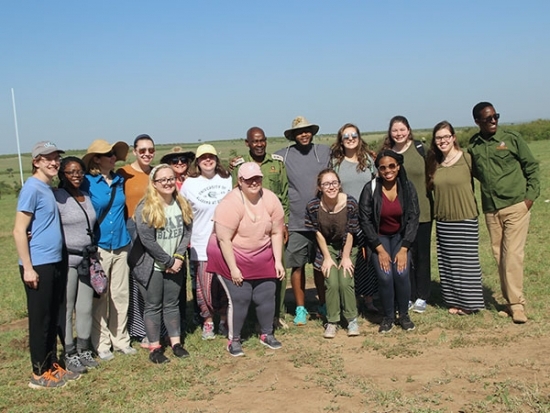 Over spring break, Stacy Moak, Ph.D., from the Department of Social Work and Tina Reuter, Ph.D., from the Institute of Human Rights led a study abroad trip to Kenya. Interested in supporting projects that keep Kenyan girls in school? 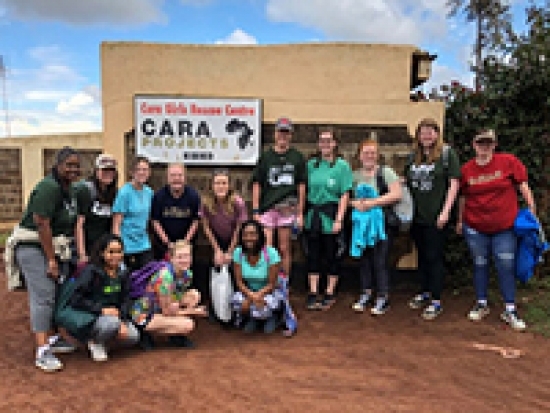 Donate to the Lady Pad project, sponsored by the UAB Institute for Human Rights and the College of Arts and Sciences.Over spring break, Stacy Moak, Ph.D., from the Department of Social Work and Tina Reuter, Ph.D., from the Institute of Human Rights led a study abroad trip to Kenya. This is the second year that Social Work has offered this special topics course for students. menstrual health management for adolescent girls. These focus areas were developed in collaboration with partners abroad, specifically Nashulai Conservancy and CARA rescue center for girls. A grant from the Independent Presbyterian Church Foundation provided resources to donate more than 800 pieces of underwear, 20 yards of fabric and sewing essentials, and a sewing machine to the project. Social Work plans to continue to develop international efforts that provide exciting opportunities for students. 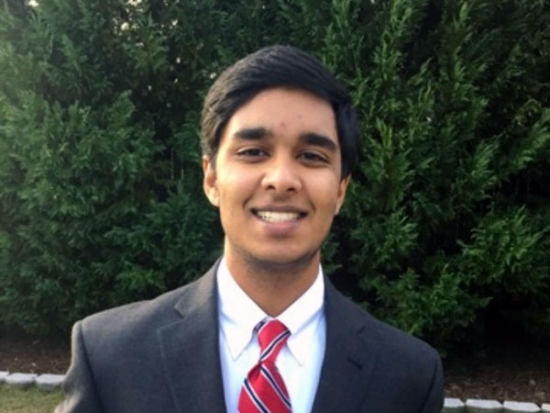 Sid Chandra, a senior majoring in the Undergraduate Neuroscience Program, writes about his experiences in the program and at UAB. When I was a freshman in high school, my grandfather was diagnosed with frontotemporal dementia, an untreatable neurodegenerative condition. Over the years, I watched my grandfather lose the ability to recognize and communicate with the people closest to him. It was frustrating to watch him suffer and not be able to do anything to help him. I began to read about his condition and similar neurodegenerative disorders, such as Alzheimer’s and Parkinson’s disease. To understand disease research articles, I needed to understand the basic biology of the brain, so I read Neuroscience for Dummies by Frank Amthor, a UAB neurobiologist. I began to become fascinated by the brain and diseases that cause it to malfunction. 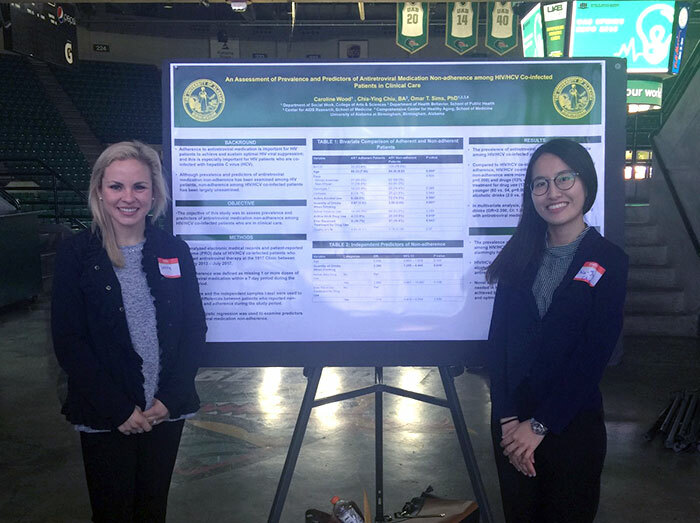 When deciding where to attend college, UAB attracted me because of the strong neuroscience research, the well-established Undergraduate Neuroscience Program (UNP), and the resources available to students from the UAB Honors College. Soon after joining UAB, I began to seek out research mentors. With help from Dr. Cristin Gavin, co-director of the UNP, and Dr. Diane Tucker, director of the Science and Technology Honors Program, I was able to join the lab of Dr. Andy West, an expert in Parkinson’s disease. In the West lab, I focused on studying the role of a protein kinase called LRRK2 in rodent models of Parkinson’s disease and strategies to target LRRK2 for therapeutic benefit. After three years of working with Dr. West, he moved to continue his career at Duke University, and I joined Dr. Talene Yacoubian’s lab. In Yacoubian lab, I have focused on understanding how modulation of the 14-3-3 protein influences neuropathology in rodent models of Parkinson’s disease. I have been fortunate to publish my results in peer reviewed journals, communicate my science across the country at several regional and national conferences, and win competitive fellowships to support my research during the summers. My experiences in the West and Yacoubian labs have solidified my interest in basic and translational research and affirmed that I want these practices to be a significant part of my career. Outside of the lab, I have been heavily involved with UAB Student Multicultural and Diversity Programs as a Free Food for Thought facilitator, board member of the Social Justice Advocacy Council, and a SMDP retreat leader. Through these endeavors, I have had the opportunity to advocate for marginalized groups and help educate my peers on social issuing plaguing our world. Additionally, I have had the opportunity to work substantially with the UAB Honors College as a communications chair for the Honors College Leadership Council and as an Honors College Ambassador. Through my experiences with SMDP and the Honors College, I have grown as a person and as a leader. I intend for advocacy to be an important part of my career going forward. All of my experiences and success at UAB could not have been accomplished without the help of several mentors — Drs. West, Gavin, Tucker, and Yacoubian (and many more). UAB is truly a unique university in that students here do not learn only in a classroom, but they are given experiential opportunities to grow professionally and personally. 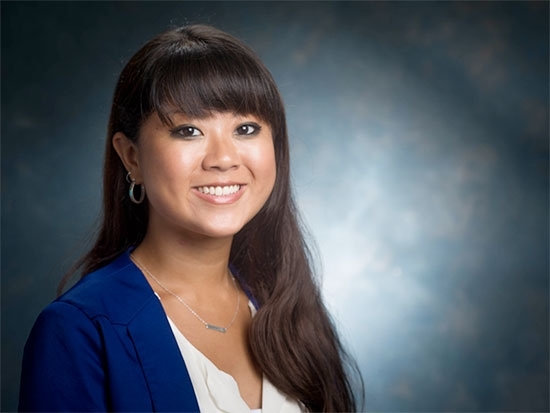 My experiences at UAB have inspired me to become a physician-scientist, so that I may investigate the molecular basis of disease, develop mechanism-based therapies, and treat patients directly in the clinic. By providing research opportunities, coursework, and fantastic mentorship, the UNP has fully prepared me for the challenges that lie ahead. This summer, I will begin an M.D.-Ph.D. program to start my journey of becoming a physician-scientist and join the fight against incurable disease. The first mentor group includes four students paired with four mentors. With the help of Grace Dugger, our Social Work Alumni Society President, we launched our Bachelor of Social Work mentor program. Our first cohort includes four mentees and four mentors! Three of the students and two of the mentors were able to come to the first meeting. We had a great time meeting each other while sharing a meal. We are very excited to have mentor program and offer our students an opportunity to learn and grow beyond classroom setting. The Student Social Work Organization sponsored a 10-year-old girl who loves Disney princesses. 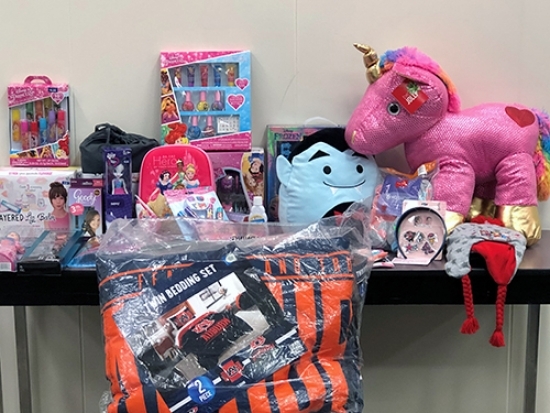 This year the Student Social Work Organization sponsored a 10-year-old girl who loves Disney princesses for Christmas through AIDS Alabama. She asked for nail kits, Disney lip gloss kit, Auburn twin bedding, a Visa gift card, and hair products (headbands, bows, and more). SSWO and faculty were able to collect everything she asked for and much more! The department thank everyone who participated for their support in making this girl's holiday bright and filled with joy and blessing. The paper predicts the probability of basketball players achieving the prestigious honor of being granted access to the Hall of Fame. Two Department of Computer Science master's students, Trupesh Patel (M.S. 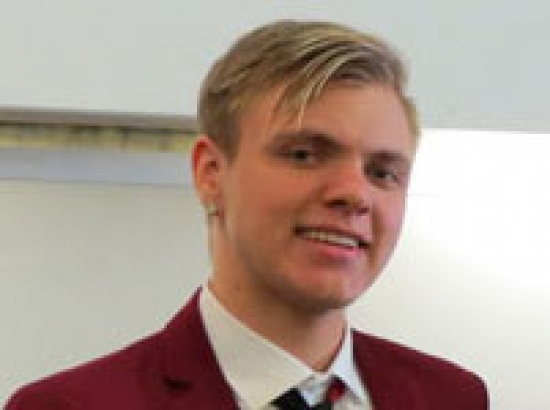 in Computer Science) and Andrew Schatz (M.S. in Data Science), won the first place for the best graduate paper at the ACM Mid-Southeast 2018 conference. The paper, "Classifying Basketball Players by Hall of Fame Merit," predicts the probability of basketball players achieving the prestigious honor of being granted access to the Hall of Fame. This project was done using various machine learning strategies and data mining skills, under the guidance of Professor Chengcui Zhang. Patel and Schatz's project was an obvious choice for best graduate paper at the conference, as it demonstrated a solid analysis and evaluation framework and pursued a unique goal. 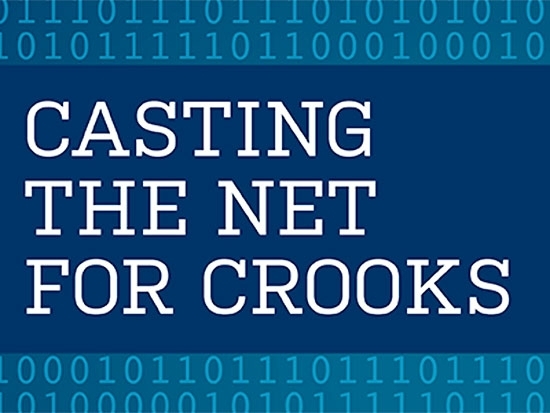 It was also one of the only projects at the conference that was not funded by any third-party organization, meaning that it out-performed many well-funded research projects. Participating in the ACM Mid-Southeast conferences is one of the most rewarding experiences for computer science students at UAB, and the department encourages current and future students to submit their projects to upcoming conferences. It is not only for graduate students — undergraduate students have their own category and this year greatly outnumbered graduate students. The conference encourages creativity in student projects, as seen by this submission and the undergraduate champion for best project, which was a 2D-style video game created by five students from Middle Tennessee State University. In addition to the rewarding experience, the conference location of Gatlinburg, Tennessee, is beautiful place and offers entertaining activities to conference attendees. 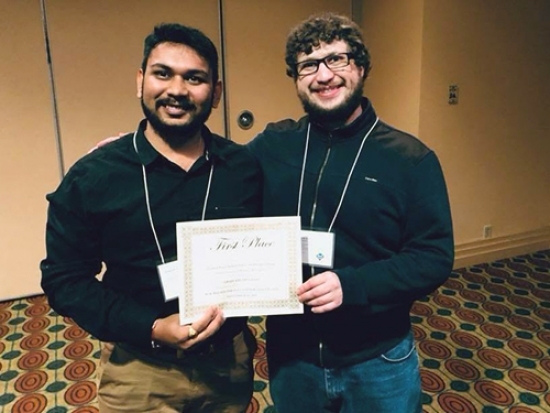 So make sure to submit your projects to ACM Mid-Southeast 2019 conference, where hopefully you will have as much fun as Trupesh and Andrew! The Student Social Work Organization (SSWO) hosted a health and hygiene supplies drive. 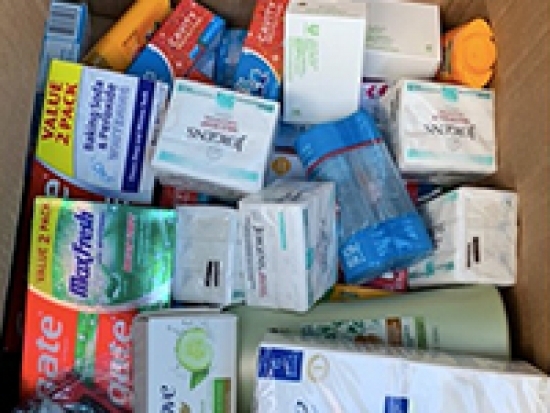 The Student Social Work Organization (SSWO) hosted a health and hygiene supplies drive for a non-profit organization run by our own MSW (former BSW) student, Caroline Richey. SSWO collected bars of soap, toothpastes, toothbrushes, rolled gauze, Neosporin, deodorants, medical tapes, and more for DominicanKids. SSWO was able to collect a car-seat, a stroller, diapers, wipes, clothes, and other baby goods. 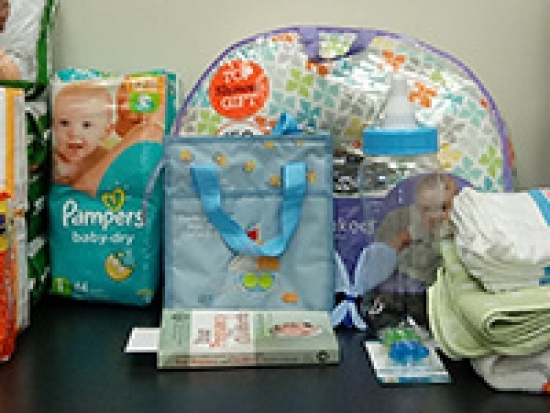 After thieves stole baby items and other personal items from a new mother, the Student Social Work Organization (SSWO) hosted a successful baby goods drive. The Department of Human Resources client lost all of the baby supplies that she had purchased. SSWO was able to collect a car-seat, a stroller, diapers, wipes, clothes, and other baby goods. It was very encouraging to see so many items collected on such short notice and seeing the impact first hand! 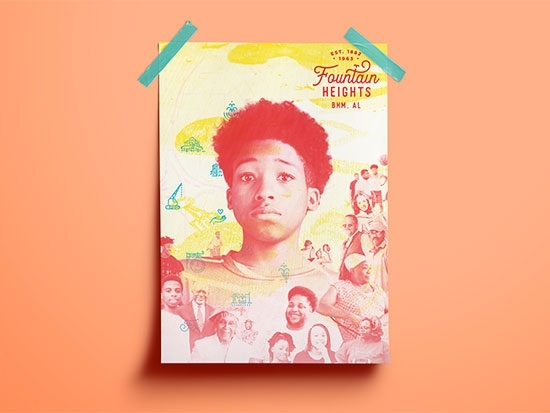 Youth Towers organization connects young homeless persons to the resources they so desperately need. One of the Social Work foundation courses, SW 222: Social Work Values, allows students to become familiar with working in the field of social work while being as imaginative as they wish. This freedom opened up many doors for students Haylee Frazer, Khawlah Abdein, Claudia Watring, and Lynn Bass. These students decided to organize a fundraiser for Youth Towers where they were fulfilling their service learning hours. Youth Towers organization connects young homeless persons to the resources they so desperately need. Alice Westery is Youth Towers' executive director. The fundraiser was put on in the Roots and Revelry parlor. Haylee, Khawlah, Claudia, and Lynn made many phone calls and sent emails to companies asking for sponsorships and donations. They had meetings that lasted hours organizing the event, and spent many hours contacting each other with ideas and updates. As they were doing so, they found each other’s strength: Lynn is more adept in correspondence; Claudia is a professional with proposals and documents; Khawlah contributes engagement and creativity; and Haylee is a strategist in organizing the group relations and the oversight of the event's many parts. These students learned the importance of team work, without which they would not have been nearly as successful. The event featured a services booth, which donated services to those who purchased raffle tickets. These services were donated by local entrepreneurs who have businesses in photography, massage, ballroom dancing, art, and cooking. 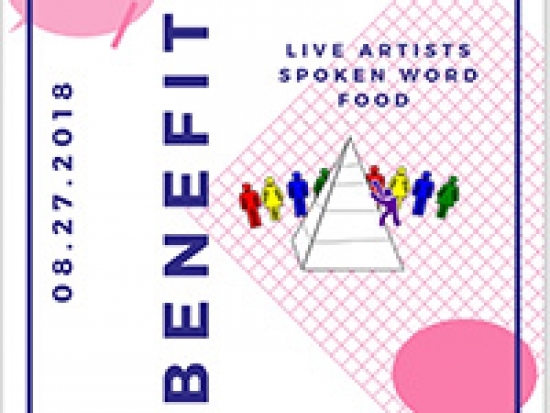 On the terrace attendees could find gospel, rap, spoken word, transgender poetry, grilling, and testimonials from clients who struggled with homelessness before they found Youth Towers. Haylee, Khawlah, Claudia, and Lynn are extremely grateful for this experience and proud of the $2,500+ they raised in the process. These students, as a group, went into this project uncertain but optimistic of the change they could make. They kept working toward their goal, and it was a fun and entertaining event which was put on to relieve homelessness. Graduate student expands knowledge of beamlines within physics through 20th National School on Neutron and X-ray Scattering. The awards are for Samantha Richardson’s work for the Fountain Heights community, which she completed as a student. 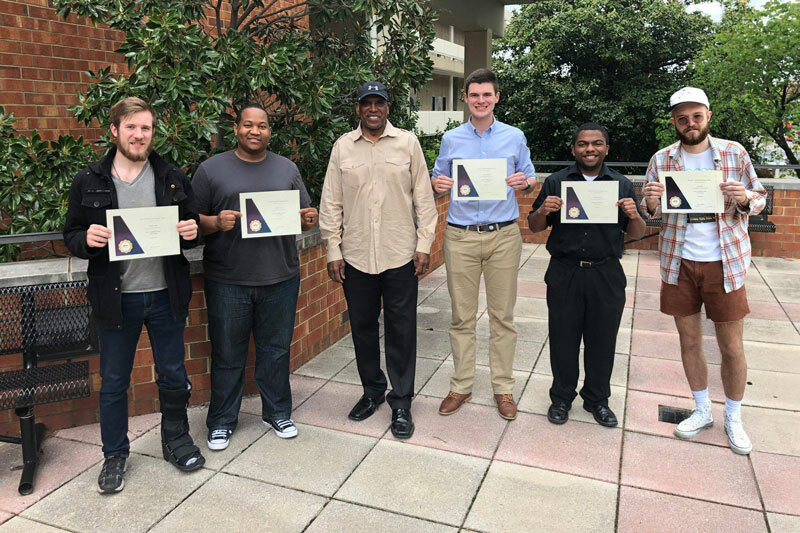 Five UAB students majoring in music technology have successfully passed the Avid Pro Tools certification exam. Five UAB students majoring in music technology have successfully passed the Avid Pro Tools certification exam. 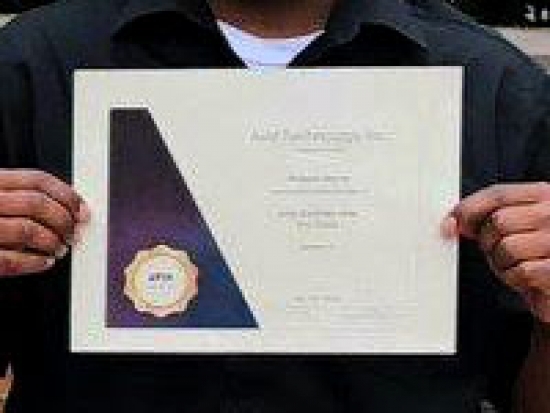 While many students successfully complete the music technology program in the UAB College of Arts and Sciences Department of Music, only an elite few also complete the Avid certification training and certification, explains University Professor Henry Panion III, Ph.D., director of the program. The Avid-certified students are Philip Clark, Jason Turner, A.J. Pilkerton, Michael Morris, and Ian Keel (pictured left to right) with University Professor Henry Panion, III, Ph.D., director of the UAB music technology program.The Avid-certified students are Philip Clark, Jason Turner, A. J. Pilkerton, Michael Morris, and Ian Keel. These students join a select group of music technology students to achieve this prestigious certification since UAB was designated as Avid Learning Partner (ALP) in 2012. The UAB music technology degree program is among a few in the Southeast designated as an ALP program with Avid-certified instructors providing training on these tools and more. The certification training and examination combine practical skills for recording, editing, mixing, and mastering music for various applications such as film soundtracks, commercial music and live-sound reinforcement. The certification examination includes with a theoretical comprehensive written exam for which the highest level of mastery must be achieved. This level of training and examination gives assurance to the industry that certified users have knowledge of the technology and can better perform at a professional level. Learn more about the UAB Music Technology Program. The Department of Sociology recognizes our 2018 honors award recipients. You can see more pictures of these talented students on the department's Facebook page. Nadia Hollings. Madison Allen. Alex Odom. Molly Clay has not let dyslexia impede her success. She maintains a spot on the dean’s list while balancing a job and participation in multiple campus organizations. 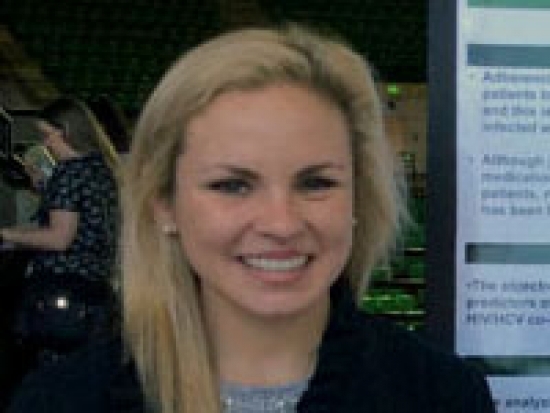 Laila-Rose Hudson is the UAB Political Science Program’s Outstanding Student for 2018. 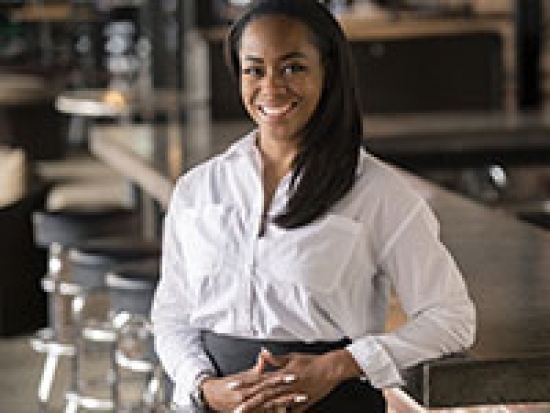 Political Science student Laila-Rose Hudson, who is graduating on April 28, 2018, is featured in the latest issue of Pi Sigma Alpha newsletter. 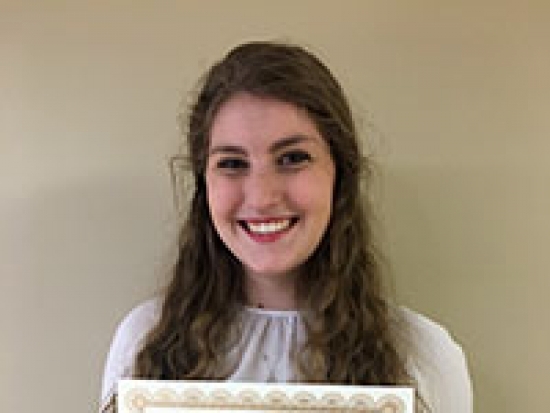 She is both a recent Pi Sigma Alpha honors inductee and the UAB Political Science Program’s Outstanding Student for 2018. Pi Sigma Alpha is the premiere honor society for students of political science. 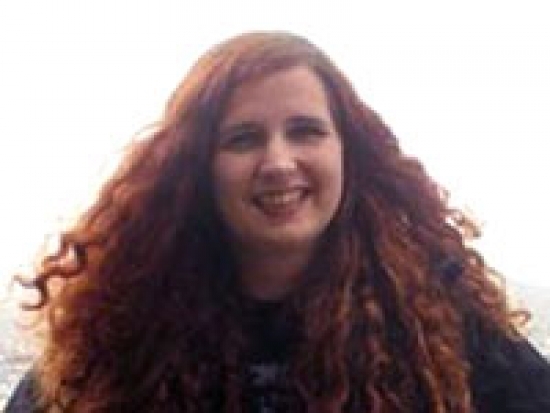 Read her profile on the Pi Sigma Alpha website. Several of our students have been recognized for outstanding research and academics. 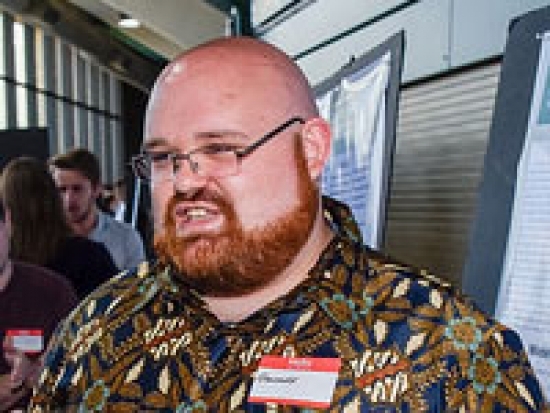 Fast-track student Garrett Higginbotham won second place in the Physical and Applied Sciences category at the 2018 UAB Spring EXPO. The EXPO celebrates excellence in research, creative activity and scholarship by showcasing the academic endeavors of undergraduate students. This provides a platform for practicing and strengthening presentation skills, sharing work, engaging with like-minded peers, exchanging research experiences and ideas as well as receiving feedback from both peers and faculty. Ahmed Ghatasheh, Kevin Campbell, and Simon Harris were chosen as the department's Outstanding Ph.D. Student, Outstanding Master's Student, and Outstanding Undergraduate Student, respectively. A group of social work students who went to Kenya this spring break for study abroad presented their experiences at UAB's Spring EXPO. 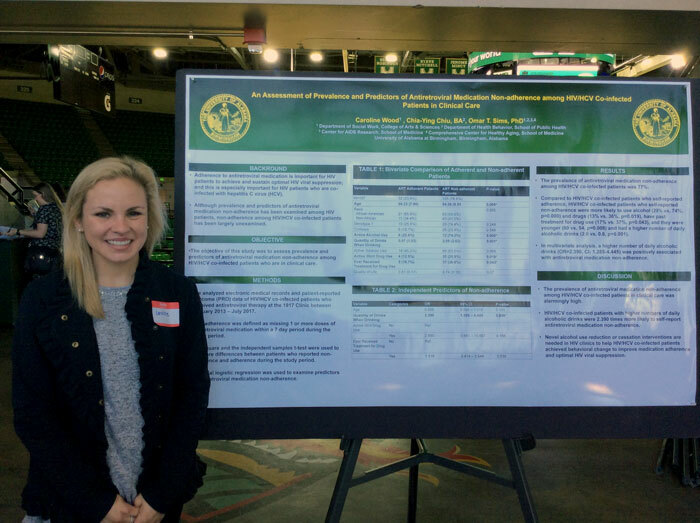 A group of social work students who went to Kenya this spring break for study abroad presented their experiences at the UAB Undergraduate Spring EXPO on April 13, 2018. 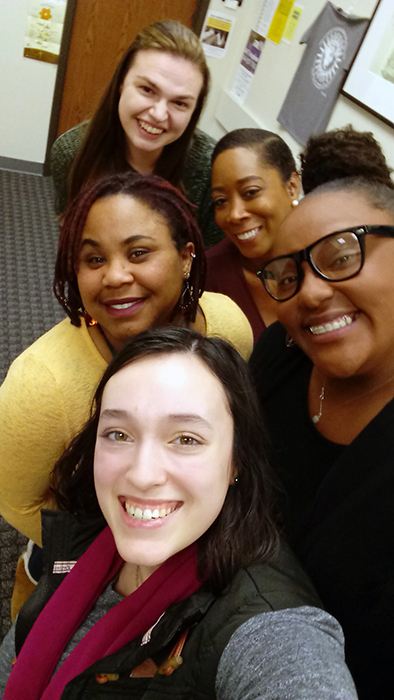 Abbie Mescher, Victoria Brake, Gabbie Manly, and Summer Gardner (Social Work undergraduate students) prepared posters and shared what they did with children and local communities. A few days later there was a reception celebrating their study abroad experiences in Kenya at the Somalian International House. More posters were presented there to share about their experiences conducting service learning abroad.